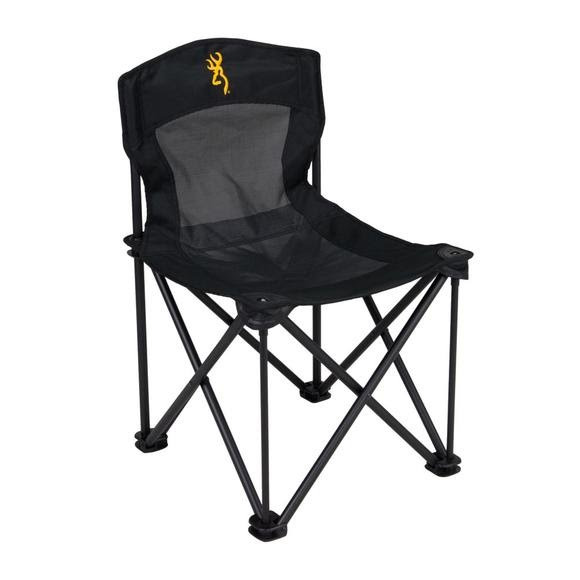 Relax in camp in Browning's Black Bear Chair featuring sturdy construction and comfortable, breathable TechMesh fabric. Folds down for easy transport! Relax in camp in Browning &apos;s Black Bear Chair featuring sturdy construction and comfortable, breathable TechMesh fabric. Folds down for easy transport!